Jamie Masterson and her husband, both self-described Angry Birds "addicts," are the culinary artists behind this Furious Fowl Cake for the Threadcakes competition. 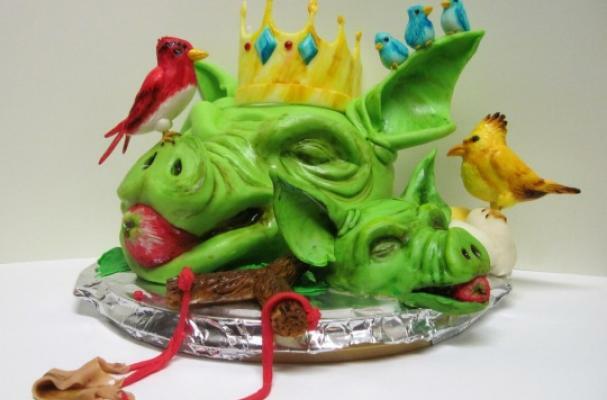 The cake features pigs' heads, a jeweled crown, the infamous slingshot, and the red, yellow and blue birds, all made out of modeling chocolate. The Threadcakes competition challenges bakers to create fully edible cakes based on existing T-shirt designs at Threadless.com. This year's contest ends on August 15.